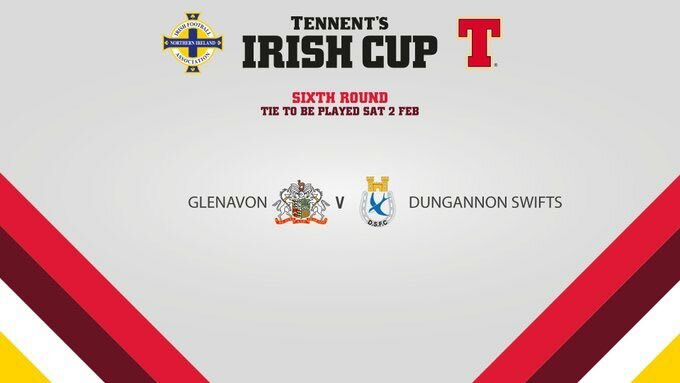 Following a pitch inspection at Mourneview Park this morning, today's Tennent's Irish Cup game has been called off as the pitch is frozen. 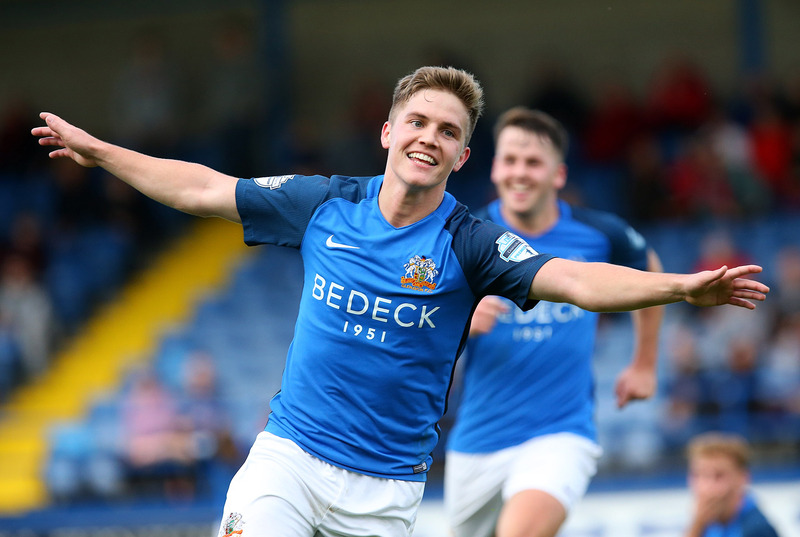 Subject to confirmation from the IFA, the match is likely to be re-scheduled for Monday 11th February. 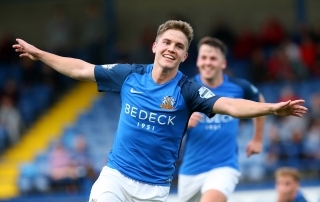 Tonight’s game at MVP between Glenavon Reserves and Ballymena United Reserves has been cancelled because the pitch is unplayable. The match has been re-scheduled for Saturday February 23rd at MVP, kick off 2pm. We have just been advised by the Mid-Ulster FA that tonight's Mid-Ulster Cup Final has been called off due to heavy snowfall. No new date has yet been arranged. 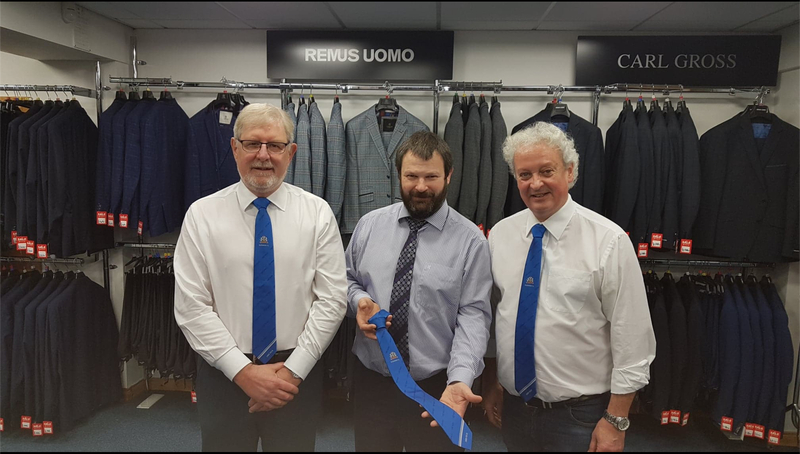 To help celebrate Glenavon's 130th Anniversary this year a special 130th Anniversary tie has been being presented and sponsored by Martin McQuillan of McQuillan's Menswear, William Street, Portadown. The new ties are available in the Club Shop priced at £15. 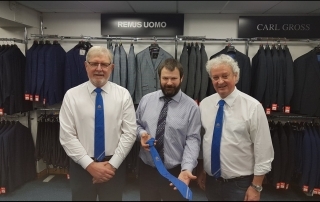 Martin McQuillan presented the new ties to Glenavon Directors Ken Cardwell and Eddie Drury. 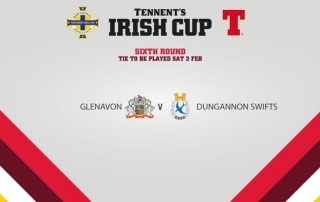 Supporters are asked to note that our Danske Bank Premiership game away to Glentoran, originally scheduled for Friday 15th February has been switched to Monday 18th February and will be shown live on Sky Sports. Kick off time at the Oval is 7:45pm. 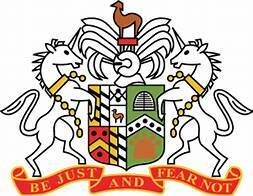 Supporters are asked to note that the club office will be closed tomorrow, Monday, and Christmas Day and Boxing Day. It will be re-open for a short period on Thursday morning from 10:00 to 12 noon, closing again on Friday.